Today, Congresswoman Julia Brownley (D-Westlake Village) announced a $300,000 federal grant from the U.S. Bureau of Reclamation that was awarded to United Water Conservation District to build an iron and manganese filtration system for deep wells at the El Rio Water Treatment and Groundwater Recharge Facility. This project will help maintain a reliable supply of water during drought conditions. Today, Congresswoman Julia Brownley announced more than $12.3 million in new federal funding for U.S. Army Corps of Engineers projects in Ventura County at Channel Islands Harbor, Ventura Harbor, and the Port of Hueneme. 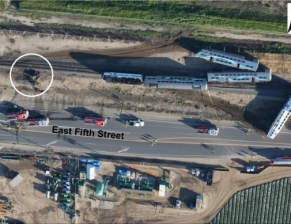 Today, Congresswoman Julia Brownley released a statement regarding the announcement that the California Transportation Commission has approved funding for the Rice Avenue Rail Safety project. Today, Congresswoman Julia Brownley (D-Westlake Village) spoke at the groundbreaking of the Port of Hueneme’s new Intermodal Infrastructure Project. Brownley helped secure a $1.5 million grant from the U.S. Department of Commerce Economic Development Administration (EDA) to fund this project, which will provide critical wharf and berth infrastructure improvements and bring new economic activity to Ventura County. 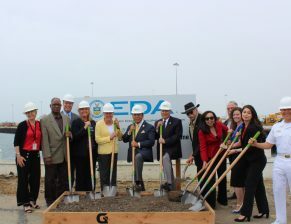 Representatives for several local politicians celebrated the groundbreaking with port officials, while U.S. Rep. Julia Brownley provided a brief keynote speech. Brownley advocated for the port to win the grant by writing letters, making phone calls and otherwise working to market the port to the Economic Development Administration. 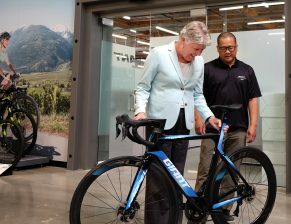 To celebrate National Bike Month, Congresswoman Julia Brownley (D-Westlake Village) yesterday visited Giant Bicycles, a bike company in Newbury Park, and JRA Bikes & Brew, a local coffee and bike shop in Thousand Oaks. She met with employees and discussed the importance of investing in transportation infrastructure and the role of these businesses to the local economy. Today, the U.S. House of Representatives passed the Federal Aviation Administration (FAA) Reauthorization Act of 2018 (H.R. 4), which authorizes critical funding for our nation’s aviation system and supports improved safety in our skies. As a member of the House Transportation and Infrastructure Committee, Congresswoman Julia Brownley (D-CA) successfully fought for the legislation to also include provisions to better serve our nation’s veterans and curb human trafficking. 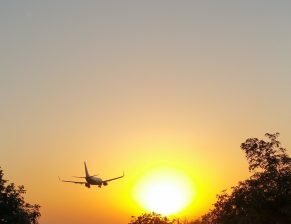 Congresswoman Julia Brownley (D-Westlake Village) today announced two amendments that she has offered to the Federal Aviation Administration (FAA) authorization bill (H.R. 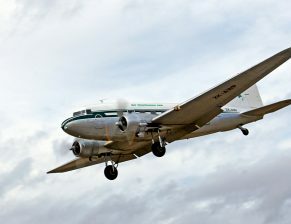 4) that would help address airplane noise in Thousand Oaks. The bill is being debated in the House of Representatives this week. Today, the House Transportation and Infrastructure Committee passed H.R. 3288, which included legislation authored by Congresswoman Julia Brownley (D-CA) to reauthorize the Southwest Border Regional Commission. The letter was spearheaded by Reps. Bob Goodlatte (R-Va.), John Ratcliffe (R-Texas), Julia Brownley (D-Calif.), and Frederica Wilson (D-Fla.). Congresswoman Julia Brownley issued a statement today regarding President Trump’s infrastructure policy outline. Congresswoman Julia Brownley issued a statement today after President Donald Trump’s first State of the Union address. Congresswoman Julia Brownley issued a statement regarding the delivery of the first operational MQ-4C Triton Unmanned Aerial System to Point Mugu. 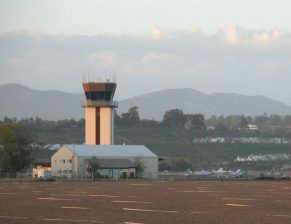 Today, Congresswoman Julia Brownley (D-Westlake Village) announced more than $3.7 million in federal grant funding for Camarillo Airport to expand aircraft parking, which will better enable it to support Ventura County’s robust local economy. Today, the U.S. House of Representatives passed an amendment to an FY 2018 appropriations bill (H.R. 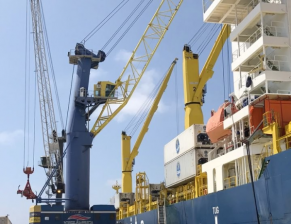 3219) offered by Congresswoman Julia Brownley (D-Westlake Village) and Congresswoman Grace Napolitano (D-El Monte) that would ensure California’s ports and harbors receive a fair share of funds for port and harbor infrastructure. Yesterday, the House Transportation and Infrastructure Committee passed the Veterans Expanded Trucking Opportunities Act (H.R. 2547), legislation introduced by Congressman Rob Woodall (R-GA) and Congresswoman Julia Brownley (D-CA). 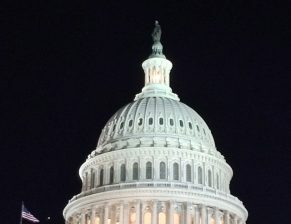 Congresswoman Brownley (D-Westlake Village) has introduced a bill (H.R. 2524) that would transfer land from the Department of Homeland Security to Ventura County. 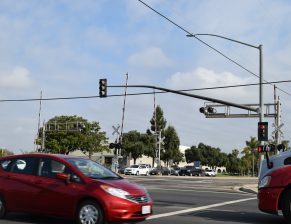 The land, which is adjacent to Camarillo Airport, would be used for future airport development, providing opportunities for economic growth in Ventura County.